This holiday season, Aquaman swims up from the depths of the DC Universe and into theaters. As the first follow-up to 2017's Justice League, the movie represents something of a sea change for the DCEU. The crossover event that their first wave of movies had been swirling around is behind them, and the franchise is now free to chart a new course into open water. News is washing ashore every day about upcoming projects like Shazam, Wonder Woman 1984, and Birds of Prey (And the Fantabulous Emancipation of One Harley Quinn), and Aquaman is the first deep dive into these fresh waters. 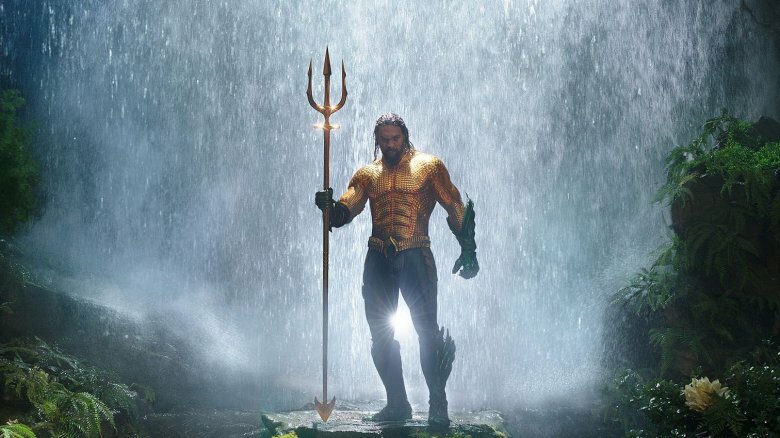 Critics are largely in agreement that Aquaman feels like a breath of fresh air after drowning in DC's murkier efforts. It's a light, funny adventure film anchored by two charming leads and buoyed by eye-popping visuals. But a vessel this large can only turn its rudder so fast, and it's bound to have a few barnacles still clinging to its hull. If you're prepared for spoilers, continue full speed ahead past all these puns to find out the five best and five worst things about Aquaman. But don't read too fast — you might get the bends. Unlike Batman or Superman, Aquaman (a.k.a. Arthur Curry) doesn't exactly have a rogues' gallery brimming with pop culture icons. The movie introduces perhaps the two most significant villains from the pages of Aquaman comics, Black Manta and Ocean Master. Both of them are actually pretty great, but the story suffers slightly from having two separate antagonists diluting the story's central conflict. It's a problem all too common to superhero movies. 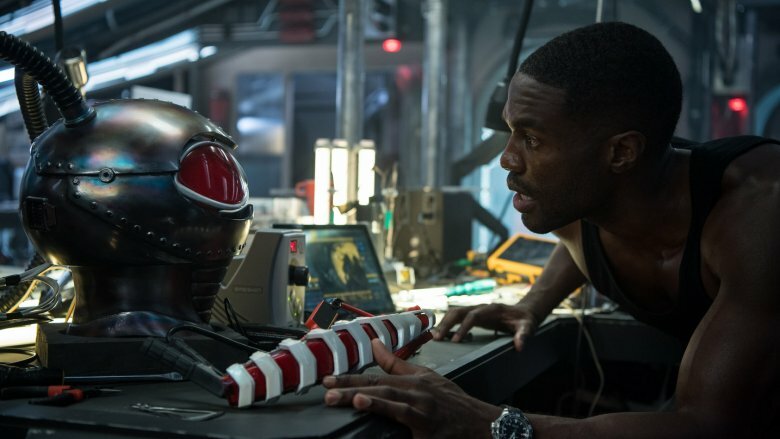 David Kane (Yahya Abdul-Mateen II), the pirate who would be Black Manta, gets much of the movie's focus early on, as we watch his personal grudge against Aquaman form following the death of his father (Michael Beach). 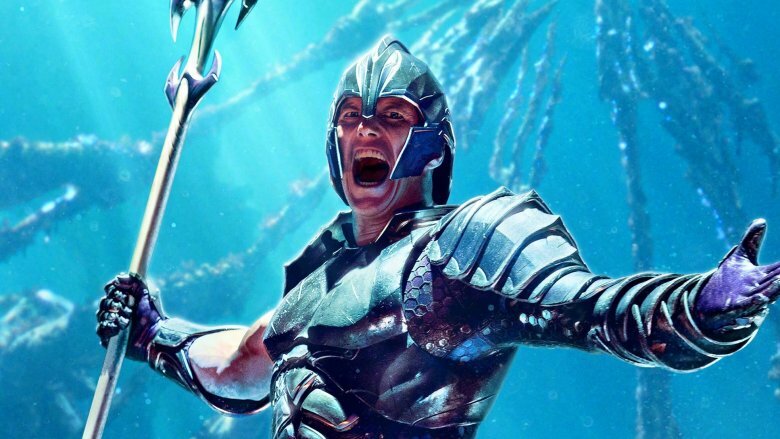 But his arc is quickly sidelined as Arthur's half-brother Orm (Patrick Wilson) begins his ascension to the role of Ocean Master. Orm later recruits Kane, giving him the Atlantean technology he needs to become Black Manta. The connection between the two opponents is tenuous, however, and it often feels like their emotional arcs are competing for screentime, with no real benefit to the finished product. Jason Momoa was a highlight of Justice League, and fans have been looking forward to more of his likeable dirtbag embodiment of Arthur Curry. Not only does the Aquaman solo movie live up to its potential as a Momoa vehicle, it supports him with one of the best casts yet assembled for the DCEU. It's an eclectic ensemble with some surprising cameos, but each gets a moment to shine and, unlike some of the more convoluted comic movies in recent memory, everyone's clearly on the same page about what kind of strange adventure they're on. Momoa continues his schtick as the buff, waterlogged barfly with a heart of gold, but being the center of attention allows him to add new layers to the character. He lets Arthur's self-doubt bubble to the surface in his most vulnerable moments, making him endearing without sacrificing any of his rowdy charm. Amber Heard successfully leads alongside him as Mera with a perfect balance of fearsome focus and wide-eyed wonder. Nicole Kidman and Temuera Morrison form the movie's emotional core with their chemistry as Arthur's parents. Delightfully weird performances from Willem Dafoe and Dolph Lundgren flesh out the undersea politics. Rounding out the cast are some wonderful voice cameos, including a scene-stealing Julie Andrews as the vicious Lovecraftian monster Karathen. This is actually not so much a problem with Aquaman as it is a problem that Aquaman points out about the foundations upon which it stands. 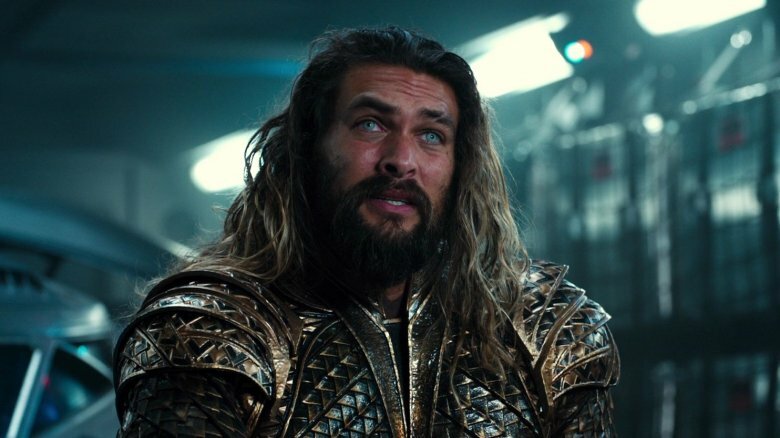 Justice League introduced Aquaman (if you don't count his quick, silent appearance on a computer monitor in Batman v Superman), but only had time for a brief exploration of his Atlantean origins. Mera appeared in one sequence, in which Arthur attempted to protect a Mother Box from Steppenwolf. Arthur expressed bitterness over being "abandoned" by his mother, Queen Atlanna, and held her neglect against the people of Atlantis. The Arthur we catch up with in Aquaman is less angry at his mother — he's aware that she was forced to return to the sea — and learns that she was sacrificed to a monster-filled place called the Trench for the crime of having a half-breed son, filling him with grief and guilt. The movie more or less has to undo the motivations established in Justice League in order to get his character arc moving in the right direction. 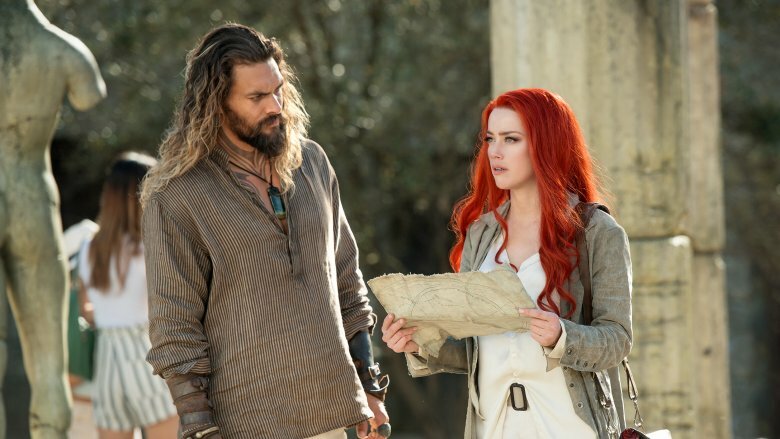 There's also a change in how Atlanteans communicate — it seemed in Justice League that Arthur and Mera could only talk inside an air bubble, but Aquaman has its characters speak freely even when submerged. 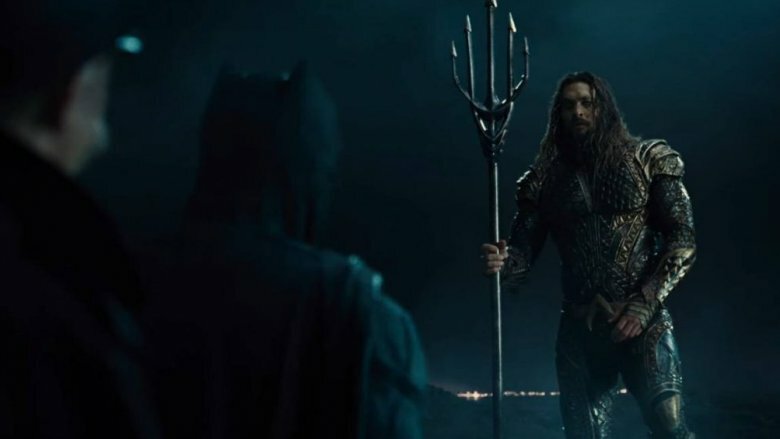 It makes sense that a movie set mostly underwater would choose not to complicate its characters' ability to talk to each other in this way, but it raises the question of why Justice League introduced such a clunky conceit in the first place. Fans might be slightly annoyed at Aquaman's contradictions of established DCEU lore, but this actually becomes one of its strongest assets: the movie is completely unburdened by connections to other movies, either past or present. Where Batman v Superman: Dawn of Justice nearly drowned in set-ups and introductions designed to pay off in future installments, Aquaman floats free, unencumbered by the sort of franchise-minded filmmaking that has sunk other comic book movies. Aside from briefly mentioning Arthur's defeat of Steppenwolf (in a way that would not be at all confusing to anyone who hasn't seen Justice League), Aquaman contains no references to any other DC characters not involved in its hero's journey. No secret Lexcorp files, no Gotham City namedrops, no foreshadowing of cataclysmic events to come. It's just a straight-ahead adventure story about Aquaman and his friends and enemies. It is, in fact, a perfect jumping-on point for newcomers to the DC Universe — something Warner Bros. sorely needs after the convoluted webs of its predecessors proved off-putting for audiences and critics. 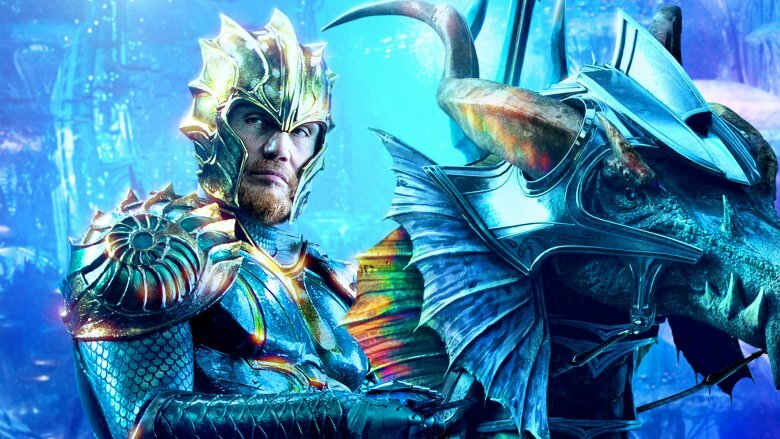 Regardless of how well Aquaman plays to its strengths, it's still going to be the story of a would-be king who talks to fish and does battle with merpeople. It will probably never reach the universal acclaim of something like The Dark Knight, a movie based on comic books but treated as nothing more or less than a hard-hitting police drama. Arthur Curry's adventures will simply never have the same potential for crossover appeal. Aquaman is afflicted with some corny dialogue, to be sure, and its plot does nothing to elevate the experience to any level beyond wacky thrillride. The story offers little in the way of surprising twists or innovative concepts. The costumes are goofy, the creatures are weird, and even the music choices are occasionally questionable (see: Pitbull reworking Toto's "Africa"). It's all very much in the realm of archetypal comic book storytelling, and that certainly won't be for everyone in a mainstream movie audience. Here's the thing about a movie that leans all the way into its own comic book silliness: it's exactly what DC needs right now. 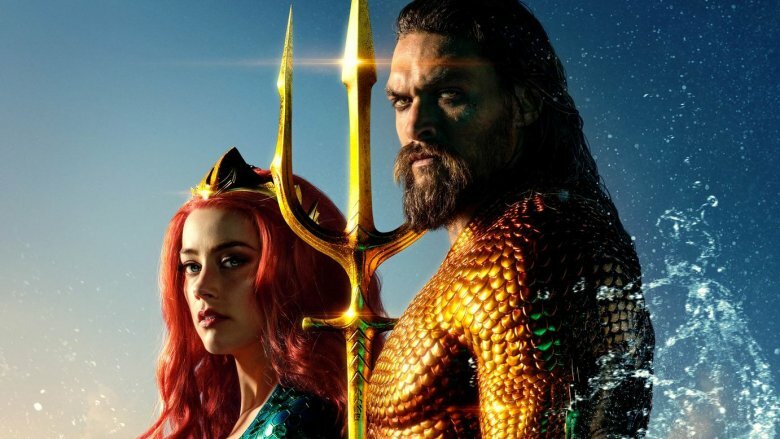 While some discerning theatergoers might be turned off by such a goofy outing as Aquaman, it serves as the perfect antidote to the grim self-seriousness of movies like Batman v Superman. We've watched Superman die and we've seen Batman grapple with grey areas of morality. Even Wonder Woman's solo story didn't have much time for levity once Diana arrived in the trenches of World War I. Justice League had a jarring tonal dissonance, trapped somewhere between brooding and romping. Aquaman, though, is bright, wacky, and seems intent on doing nothing beyond shooting fun straight into its viewers' eyeballs. Arthur's tale is a feel-good story concerned not with societal ethics or the meaning of existence, but with his own journey to find his own place and commit to what he cares about. It will never make a shortlist of "Important Films" or warrant major Oscar consideration, but it isn't trying to. It's just fun, and in a year when Marvel slaughtered half of all life in the universe, that makes it a welcome dash of variety. 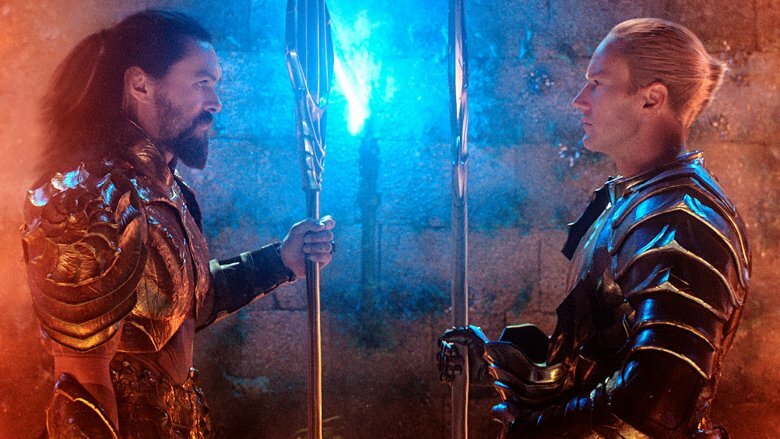 What finally motivates Arthur to take his rightful place as king of Atlantis is the tyranny of his half-brother, Orm. 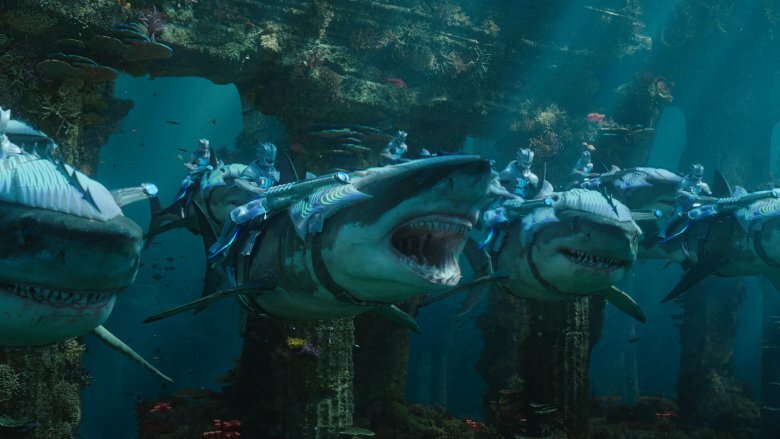 The situation gets pretty desperate indeed, as Orm claims the title of Ocean Master and forges alliances with other undersea kingdoms in a bid to declare war on the surface world. He will stop at nothing to wipe humankind off the face of the Earth — when the Fisherman King (voiced by Djimon Honsou) refuses to join the crusade, Orm murders him in front of his family. He even secretly contracts Black Manta to attack Atlantis in order to stoke the fires of anti-human sentiment among his people. After all of these dark and bloodthirsty deeds, then, it's a little surprising to see the level of mercy with which Orm is treated upon his defeat at the end of the movie. Yes, he is placed under arrest and led away by Atlantean law enforcement, but Arthur and Atlanna speak kindly to him and promise to hold talks with him soon. Mercy is a wonderful trait in a superhero and it's always refreshing when a movie resists the temptation to kill off its villain, but the tone of Orm's final scene has a warmth not quite befitting his crimes. He put his own people in jeopardy, murdered without hesitation, and plotted nothing short of genocide against humans. A little harshness in his comeuppance would be justified. The conflict between Ocean Master and the other kingdoms comes to a head with a spectacular undersea battle, with hordes of aquatic forces fighting alongside a menagerie of spiky creatures and tentacled bests. Not only is it a change of pace from the city-destruction climaxes of so many other superhero movies, it's dazzling in its own right. These CG creations are believable (in their own rainbow-colored cartoon sort of way), and the showdown serves as an exciting capper to a movie that, from the beginning, was already perhaps the best-looking entry in the DCEU canon. These DC movies have not had a great track record with things like visual effects and character design. Batman v Superman's Doomsday drew unfavorable comparisons to a Ninja Turtle, Justice League's Steppenwolf drew nothing but scorn, and even Wonder Woman's Ares left a lot to be desired, to say the least. All of them had a sort of muddy video game cutscene quality to them. Perhaps because Aquaman takes place so fully in the realm of fantasy, it seems like its crew was given opportunity to flourish. Its monsters are fun to look at and its costumes are visually striking. Even the extremely complex illusion that its characters are constantly bound by the physics of water completely works — in a testament to the careful work of director James Wan and his effects team, you may just forget that you're looking at a bunch of people hanging around on wires. Aquaman features just one scene in the middle of its end credits (showing surprising restraint by modern standards). It finds Black Manta drifting through the open ocean, having been dispatched by Arthur and Mera during a mid-movie fight in Sicily. 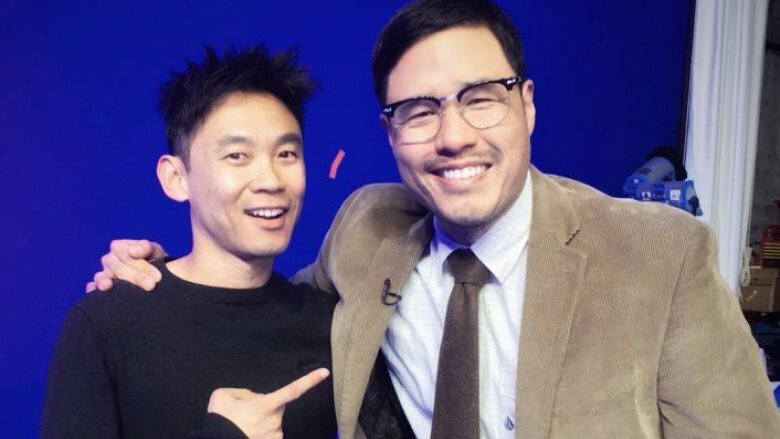 He is picked up by Dr. Stephen Shin, a marine biologist obsessed with finding Atlantis. Shin takes the villain home, and the pair begin the process of repairing Black Manta's armor and setting out on a quest for vengeance. The scene is perfectly fine, but it stretches on far too long to be an effective and exciting stinger. The brief moment of Shin actually finding Manta would have sufficed. By the time they've arrived at Shin's house and discussed their situation, it's hard not to feel like you're waiting for a surprise that isn't coming. And indeed, it doesn't — all the scene really serves to do is promise that Black Manta will return in the eventual Aquaman or Justice League sequel, something most people probably could have guessed anyway. The best thing about Aquaman is the arc of its hero. Arthur Curry was introduced into the DCU as a jaded, scuzzy dirtbag with a grungy look that matched the desaturated color palette and bleak outlook of Man of Steel and Batman v Superman. By the end of Aquaman, he's still got the same surf-bro attitude, but has found his calling and ascended to the throne. Perhaps more importantly, he's donned the classic bright orange and green costume of the comics. It may seem like little more than an aesthetic flourish, but the costume signals a promising new direction for the DC Extended Universe. Previous entries in the franchise sometimes seemed desperate for audiences to take the movies seriously. There's not necessarily anything wrong with that — some of the best comic books and comic book movies have been very dramatic — but their tone too often veered into unrelenting misery and nihilistic destruction. Aquaman shows that the heroes of the DC Universe can sometimes be about having fun and feeling good. Maybe this is the dawn of a new era.